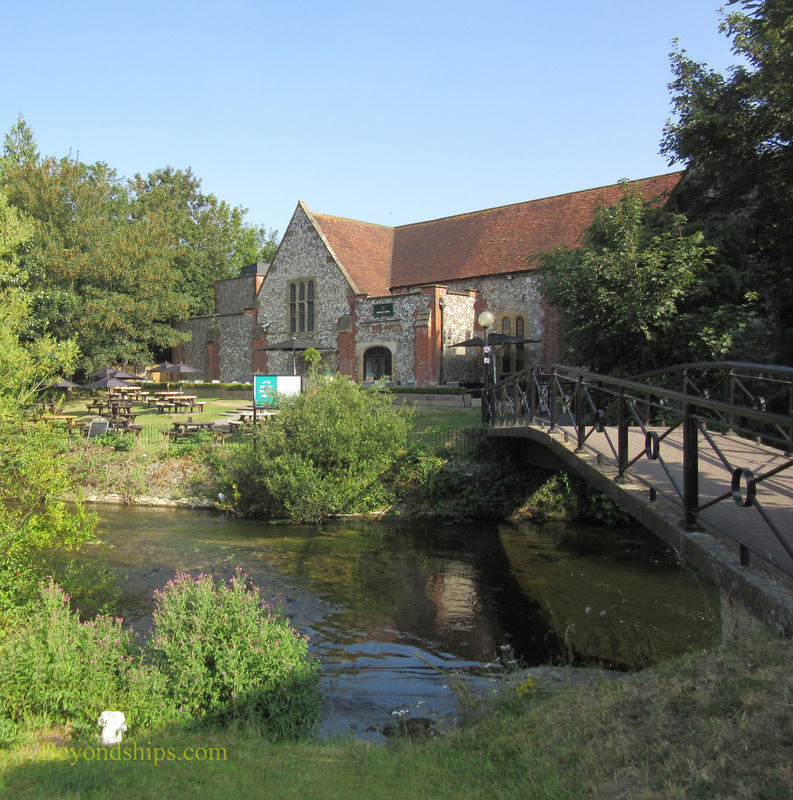 The relatively small city of Salisbury offers both some world class attractions and some lesser known places of interest. It is a convenient day trip from Southampton as well as from London. Present day Salisbury is a descendant of Old Sarum. The site of an Iron Age hilltop fortress, Old Sarum was occupied in turn by Romans, Saxons and Normans before becoming an important community if medieval England. In the 13th century, it was decided to move the cathedral to a new locations. According to legend, the new location was to be determined by shooting an arrow into the sky. The arrow supposedly hit a deer, who ran for two miles before dying on the spot where Salisbury Cathedral now stands. A new town grew up around the new cathedral. The official name of the new town (which continued to be the official name until 2009) was New Sarum but overtime it became known as Salisbury. (Eventually, Old Sarum was deserted). Salisbury can be a busy town. It has a population of about 40,000 but the presence of tourist attractions both within the city and nearby can bring in many more people. However, the city has attractive riverside walks and pedestrianized area. 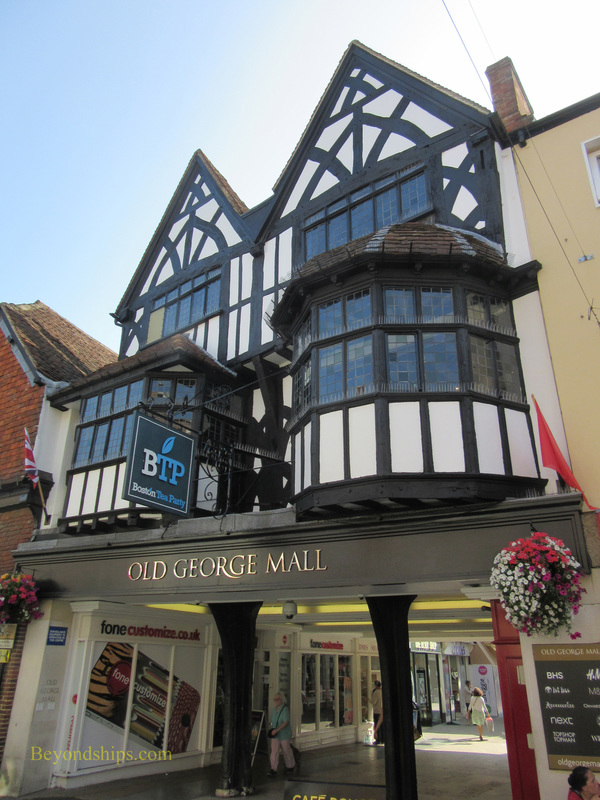 Located about 20 miles from Southampton, Salisbury can be reached in a half hour by train or by car via the M27 motorway. It is approximately 80 miles from London – about two hours on the M3 or an hour and a half by train from London's Waterloo Station. 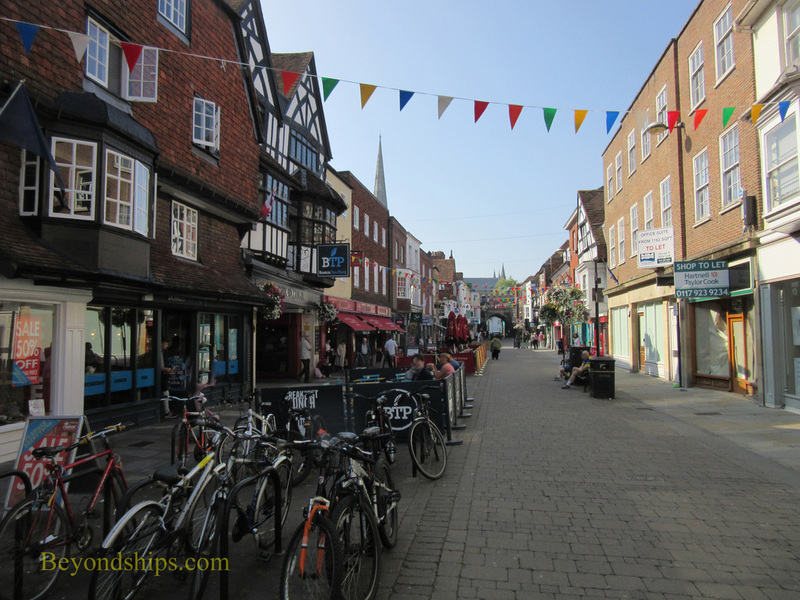 Salisbury is often included in tours from London to Stonehenge. Above: A pedestrianized street leading to the Cathedral Close. 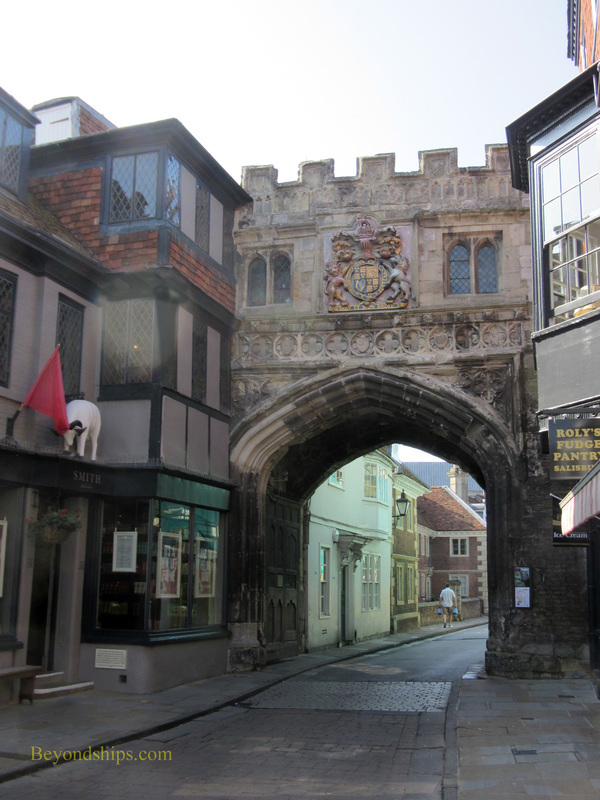 Right: A gate to the Cathedral Close. 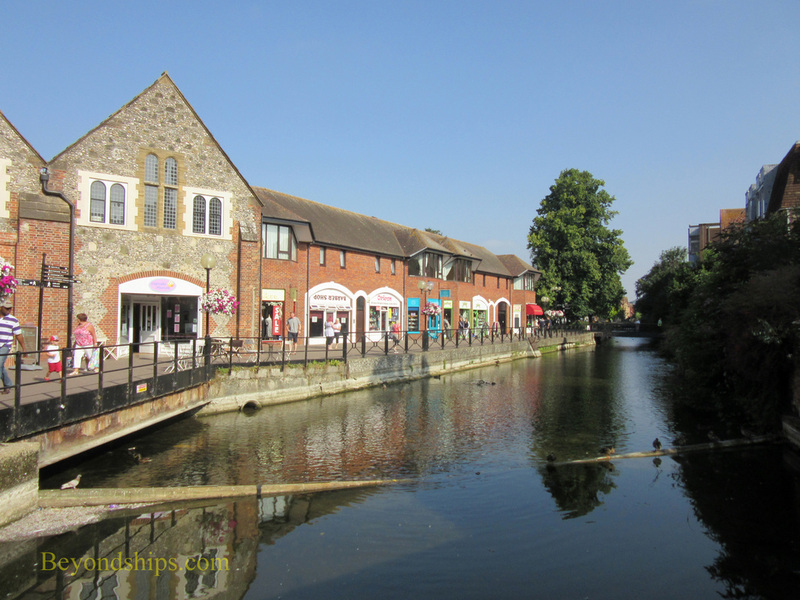 Five rivers flow through Salisbury. Historic building shave been put to contemporary uses. ﻿Bath Has a great amount of green space.